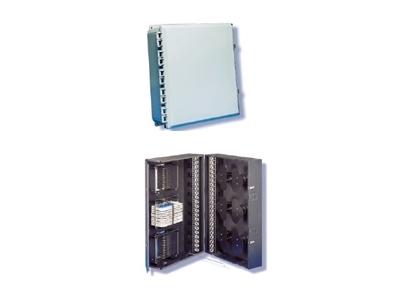 SMP's OC Series Splice FiberOpticx Outside Wall Mount Cabinet - 48 Port Capacity offer the same modular features of the WTC series with the added outdoor durability for outside plant functionality. The OC series, like all SMP Wall Mount cabinets can be ordered empty or can be easily customized to fit any exact specification. For NEMA 4 requirements, the OCO48 cabinets offer ideal protection from the outdoor elements. For smaller OSP and inside premise application the new OCO6N is a perfect fit with the additional benefit of being NEMA Type 3 compliant.